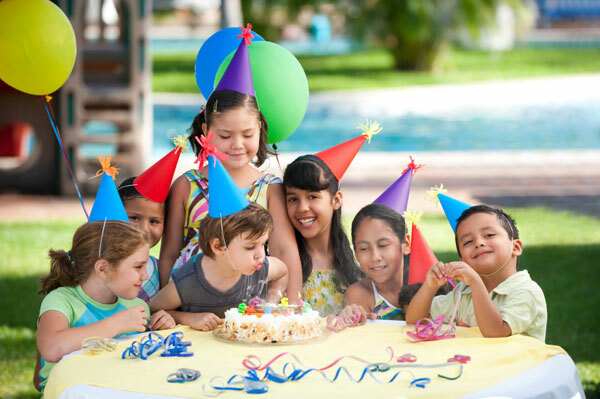 If your child is about to celebrate a special birthday, you’ll want to pull out the stops to celebrate their big day. So how can you throw the perfect party? You may want food that suits the children and separate snacks for the adults. If you’re struggling with fridge space, consider getting a small chest freezer to supplement your storage space. You can make small canapes and treats such as mini pizzas, sausage rolls, pinwheels, cookies and pies in advance and freeze them in batches. Stock up too on tupperware containers and freezer bags, and make sure you write labels for each item – as everything can look much the same once it’s frozen! Children will love mini triangle sandwiches, crisps, pineapple and cheese on sticks, vegetable crudites and dips and mini pizza sticks. For the adults, try cous cous with roasted chargrilled vegetables and feta, samosas, onion bhajis, halloumi, mixed salads and pot meals such chilli con carne with tortilla chips and houmous. There are great recipes online at bbcgoodfood.com. You could try making a fruit punch for younger guests, and a version with a kick for the adults! Why not look at the commercial bottle coolers on sale at Fridge Freezer Direct. These are great for keeping bottles of wine, cider, juice, pop and mineral water beautifully chilled. You can also store ice in them, and simply store everything in pretty glasses and with straws. Why not pop paper umbrellas into a glass of punch for a kitsch touch? If you’re planning to hold a BBQ, be very mindful of food safety, particularly where children are concerned. Some people prefer to pre-cook meat inside so that they can ensure it is properly and safely cooked – especially chicken – and then finish it off on the barbecue for that wonderful chargrilled taste. If you felt fancy, you could even get your party catered. Depending on numbers and the type of food you want, this can sometimes be surprisingly cost effective, particularly when you factor your time and the facilities needed to prepare the food into the decision. Think broadly. A fancy dress theme is always fun, and a Mexican pinata provides great active fun. You could invest in giant board games or even a bouncy castle. Why not go retro with a coconut shy and a few rounds of British Bulldog and musical statues? Pin the tail on the donkey is a fun and classic game. Get the adults involved too and everyone will have a ball! A party isn’t a party without the right decorations. Why not hang solar lamps in the trees and put citronella candles on tables. Hang out fabric bunting and use themed table cloths, serviettes and paper plates. Balloons and bubble machines are also a really fun addition. Don’t forget those party bags – why not pack mini books, finger puppets and a sparkling pencil alongside a slice of cake and a few sweet treats? With a little creativity, your child’s party will be one to remember! Get outdoors, enjoy some sun and remember to take plenty of photos! This entry was posted in Occasion and tagged Children's, outdoor, party, perfect. ← How Young Is Too Young for a Child Model?